Harvard University Press, 9780674031678, 296pp. 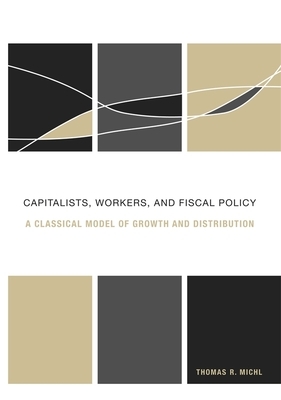 Drawing on the work of the classical-Marxian economists and their modern successors, Capitalists, Workers, and Fiscal Policy sets forth a new model of economic growth and distribution, and applies it to two major policy issues: public debt and social security. The book homes in specifically on the problem of fiscal policy, examining the ways that taxation and government spending affect the distribution of wealth and income as well as the rate of economic growth. Thomas Michl's model shows that public debt has a regressive effect on wealth distribution. It also demonstrates that the accumulation of wealth by public authorities, for example, in the form of a pension reserve such as the U.S. social security trust fund, can have a progressive effect on wealth distribution, both directly (since it represents ownership by the citizenry) and indirectly through its general equilibrium effects on the structure of accumulation. The book's findings provide an analytical foundation for a macroeconomic policy of using fiscal surpluses to accumulate a public pension reserve fund that serves to effect a progressive redistribution of wealth.